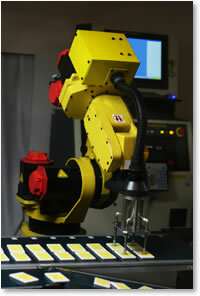 Welcome to Automation Components, Inc. Automation Components, Inc. is a manufacturer representative specializing in engineered components for the automation industry. Our products help meet the productivity and quality demands of the new millennium representing industry leaders in the world of automation. Our service includes application and analytical engineering of your automation requirements. We provide the documentation of studies for your applications to ensure the proper equipment is being selected to provide many hours of life. Our calculations will include the inertia of your loads, torque demands, horsepower requirements, e-stop requirements, and a kinematics study of your automation application. Additionally, we provide the pricing, delivery, and terms of sale to minimize the time required to get answers for your evaluation of a project. Having over forty years of engineering, machine production shop, sales, and service experience gives us the knowledge to respond to your requirements within a short period of time. Our sales engineers have been servicing the Georgia, Alabama, and Mississippi area for the past twenty years. Our current customer base includes original equipment manufacturers, special machine builders, and manufacturing facilities with in-house engineering and build capabilities. Part of our responsibility includes after-sale servicing of the products we represent. If your future automation requirements include the usage of indexers, custom cams, grippers, feeder bowls, mechanical presses, slides, rotary actuators, pallet conveyors, low-profile belt conveyors, or dispensing equipment, please feel free to contact us for assistance. For more information about our products, e-mail or telephone us with your questions or interest. © Copyright 2019 Automation Components, Inc. All Rights Reserved.